This is the final product of my uni assignment. A 3D human created in Maya, Wrap 3, Mudbox, ZBrush, Mari and Photoshop. Rendered in Arnold and comped in Nuke. 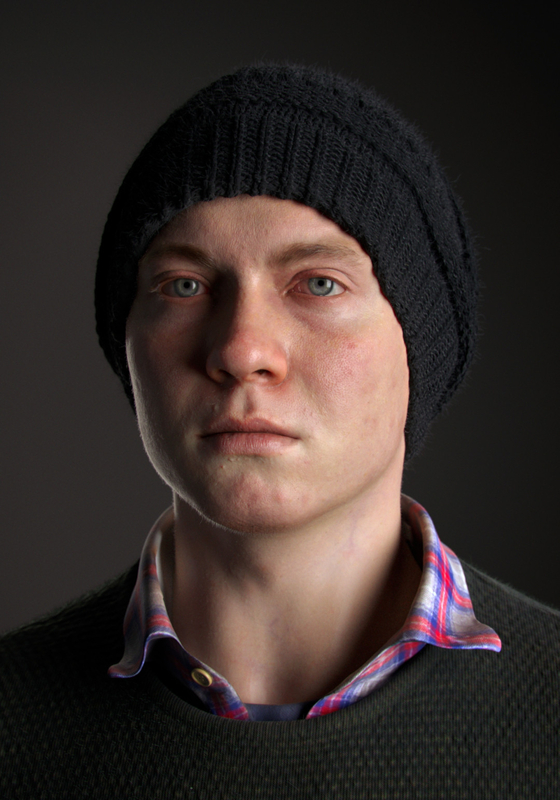 The character took me around 4-5 weeks in total and I used scanned data from Wrap 3, TexturingXYZ, Sample & Hold, 3D Scan Store and the Emily Project. HDRI light was from Jahirul Amin's site.